Americans are driving farther and longer than ever before. Americans are hopping in the car more frequently and taking longer drives. 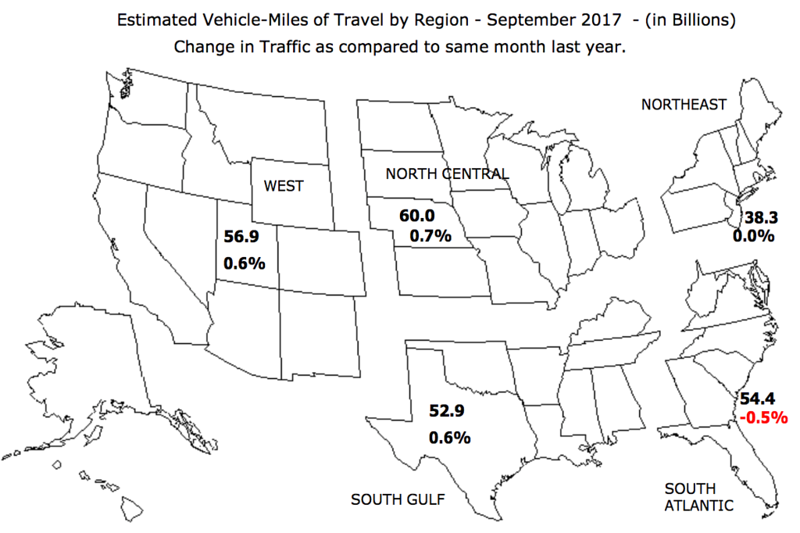 The U.S. Department of Transportation released data, showing that from January through September of 2017, driving was up 1.3% than in the same period in 2016. That equates to 31.4 billion more vehicle miles than in the same period in 2016. The DOT estimates that total travel in 2017 will have eclipsed 2,410 billion vehicle miles of travel. 2017 marks the sixth consecutive year of increased miles driven on public roads and highways. 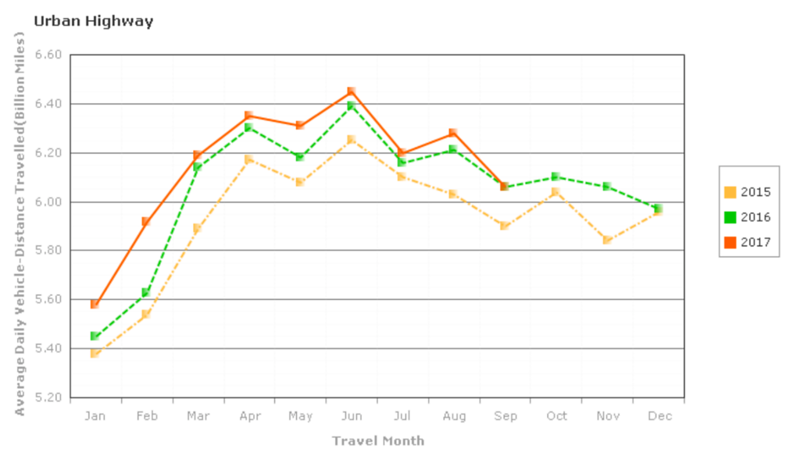 Low gasoline prices and a strong economy are generally seen as the main causes for this year-over-year increase in vehicular travel. Even though national commuting habits have remained persistent, cities are having success in leading incremental shifts away from driving according to the Brookings Institute. Over the last decade, 21 of the country’s 50 most-populated cities saw a significant drop in driving. Seattle has earned major headlines for seeing it’s residents’ solo driving rate drop below 50 percent, while Oakland, Calif., Washington, D.C., and Nashville, Tenn. saw their solo driving rates fall by at least 3 percentage points. Mode shifts to transit, walking and biking is possible – primarily through investments in infrastructure, public transit and updating zoning laws to encourage walkable neighborhood development.